A SIGNIFICANT increase in the success rate of in-vitro fertilisation (IVF) procedures is reported today by BlueGnome, with the results of the first randomised study of pre-implantation chromosome analysis. The company’s 24sure array platform was employed in the study, published in the Journal of Molecular Cytogenetics. The headline figure from the report is a 65 percent increase in successful pregnancies, measured as an ongoing pregnancy at 20 weeks. Conventionally, embryos are selected for implantation using a morphological scorecard – a visual method which ranks embryos according to their shape and appearance. The new approach involves taking a biopsy on five-day old embryos, using the 24sure technology to establish that the embryo has the full complement of chromosomes. In this study, the control group (48 cycles of IVF) had embryos selected by conventional morphological screening, and returned at pregnancy rate at 20 weeks of 41.7 percent. The subject group (55 cycles) with screening by the 24sure system had pregnancies in 69.1 percent of cases. “This study provides crucial evidence that 24 chromosome aneuploidy screening, using 24sure, can offer a dramatic benefit to IVF success rates. While further studies are still needed, this result is incredibly exciting because it indicates for the first time that 24 chromosome screening and single embryo transfer has the potential to become the default standard of care for all IVF cycles worldwide” said Nick Haan, CEO of BlueGnome. “I’m not surprised by these results… they mirror our success at Melbourne IVF using BlueGnome’s 24sure technology. We’ve provided this service for just over a year and already about 20 babies have been born and another 50 are on the way. 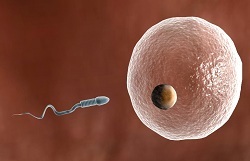 It’s a significant breakthrough for patients who are struggling to become pregnant” commented Dr Leeanda Wilton, scientific director of preimplantation genetics at Melbourne IVF, Australia.